Newest member of the bestselling Son of a Gun collection is the Son of a Gun Russian Roulette: the barrel-dial with its lucky bullet spins around your wrist at your every move. 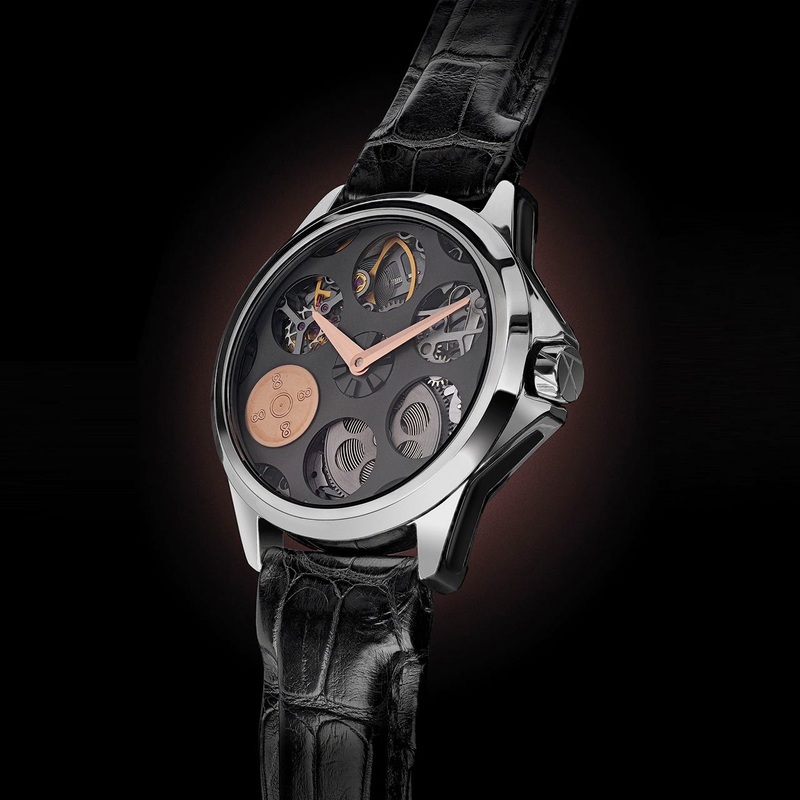 A new two-tone case in steel and ArtyOr and a skeletonized ArtyA movement complete this game of Russian Roulette. The lucky bullet has been made in a new alloy named ArtyOr, featuring a patented mix of gold and bullet cartridges. Lucky number 8 bullet cartridge spins around the barrel-dial. Bullet made from ArtyOr.